What Is the Difference Between an Operator's & a CDL License? The state departments of motor vehicles enforce the laws that regulate driver’s licenses. Each state has procedures and requirements to obtain a license to operate a vehicle. While both the operator’s license and a CDL, or commercial driver’s license both entitle the holder to operate a motor vehicle, the two licenses differ in several ways, including the qualifications and the application of federal laws. The American Association of Motor Vehicle Administrators promotes the use of graduated licensing for drivers younger than 18. The association recommends a program that provides a learner’s permit at age 16, an intermediate stage during which driving privileges are increased after completion of requirements and approval of a full operator’s license when the driver reaches 18. Most states have some form of graduate licensing. For instance, Vermont’s young drivers begin with a learner’s permit, move on to a junior operator’s license and qualify for a regular, or senior, operator’s license when they are 18 years old. The commercial driver’s license, or CDL, is another class of the operator’s license. 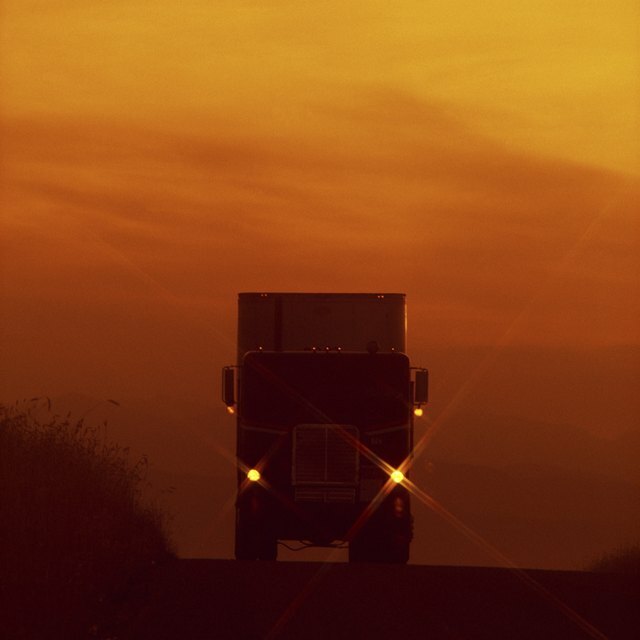 The Commercial Motor Vehicle Safety Act of 1986 describes the classes of the CDL and the distinctions. Class A, B and C licenses are based on the weight of the vehicle the driver is authorized to drive. Other considerations are whether the vehicle transports hazardous materials or if the vehicle is intended to carry 16 or more passengers. Federally prescribed and state-determined restrictions and endorsements may be applied to a vehicle operator’s commercial driver license. How Do I Get My EVOC License? How Old Do You Have to Be to Join Job Corps? The American Association of Motor Vehicle Administrators promotes national standards to ensure that only qualified and trained drivers receive the commercial driver’s license. The association operates a nationwide CDL program to assist states in adhering to the provisions of the Commercial Motor Vehicle Safety Act of 1986. The act establishes laws to regulate the CDL program, including standards for testing, revocation of a driver’s CDL and requirements for state-based CDL program information systems.